The Carmel Foundation Presents "Steinbeck's Strong Women: Wives, Agents, Sisters, and Friends." Name: The Carmel Foundation Presents "Steinbeck's Strong Women: Wives, Agents, Sisters, and Friends." Throughout his life, Steinbeck was surrounded by strong, intelligent, creative women - three sisters, three agents, three wives, and countless friends. 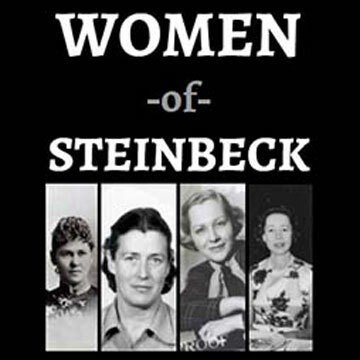 Please join Susan Shillinglaw, past Director of the National Steinbeck Center as she focuses on why those women were so instrumental in his career. For more information, please contact Leticia Garcia, Director of Support Services at 831.620.8705.